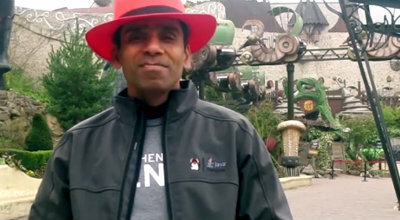 In this interview, Red Hatter and Devoxx4Kids Founder and Chairman Arun Gupta talks about the work the organisation does in fostering computational thinking and widening access to coding for kids around the world. We also speak about Arun’s fundraising mission to climb to Mount Everest base camp later this year. With the future economy set to be grounded in code, we’re at a key tipping point to ensure that no child is denied the opportunity to succeed. Devoxx4Kids is determined to level the playing field in this respect – and you can help them in this effort. Visit http://www.devoxx4kids.org/usa/donate/ and help them bring their work to an even wider circle of students.